NHL News : Breaking: Ducks defenseman leaves team right before tonight's game! Breaking: Ducks defenseman leaves team right before tonight's game! The Anaheim Ducks have been on the road since for a fifth game tonight, landing in Montreal to face the Canadiens after losing 9-3 and 6-1 against the Winnipeg Jets and the Toronto Maple Leafs respectively in the past few days. 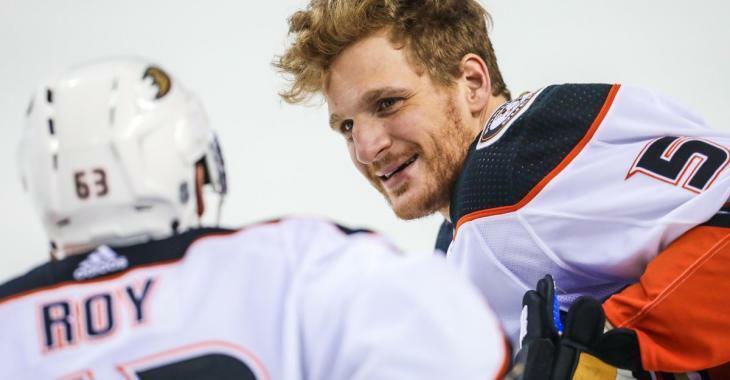 The Ducks announced just prior to Tuesday night's contest against the Habs that defenseman Korbinian Holzer has left the team and has decided to head back to Germany for personal reasons. No other details were given on why Holzer wanted out. Holzer only took part in two games this season, facing the Jets on Saturday and the Leafs on Monday. Many expected him to be on the roster tonight however his abrupt departure prompted the Ducks to promote Jaycob Megna, who is now playing his first game of the season with Anaheim. In the two games he suited up for the Ducks this season, Holzer collected a single assist. He has missed extended time to begin 2018-19 after undergoing offseason wrist surgery. He was drafted in the fourth round, 111th overall by the Maple Leafs back in 2006. He was traded to the Ducks during the 2015 trade deadline for Eric Brewer and a fifth round pick in the 2016 draft, who turned out to be Beck Malenstyn.